Sometime during 1994 I bought one of my favourite albums of all time: Siamese Dream by The Smashing Pumpkins. Even today (boom-tish) that album sits proudly in my music collection and doesn’t sound dated. I can’t say the same for many other albums I own from the same time period. Superunknown from Soundgarden stands as a classic album, but I find it hard to listen to without having had the death of a pet weighing on my mind. I can only listen to Metallica’s Load if I promise myself I’ll put on one of their better albums straight after. Essentially, for me, the Pumpkins hit on music gold with that album. I’ve commented before how I’ve essentially stopped being a fan of the Pumpkins, finding their offerings since Adore (which promised so much with the first single, and delivered so little with the remainder of the album) to be more filler than awesome. What I liked about the Pumpkins was not what the Pumpkins have been delivering since. Which brings me to a discussion I was having recently on the Pumpkins album Zeitgeist. 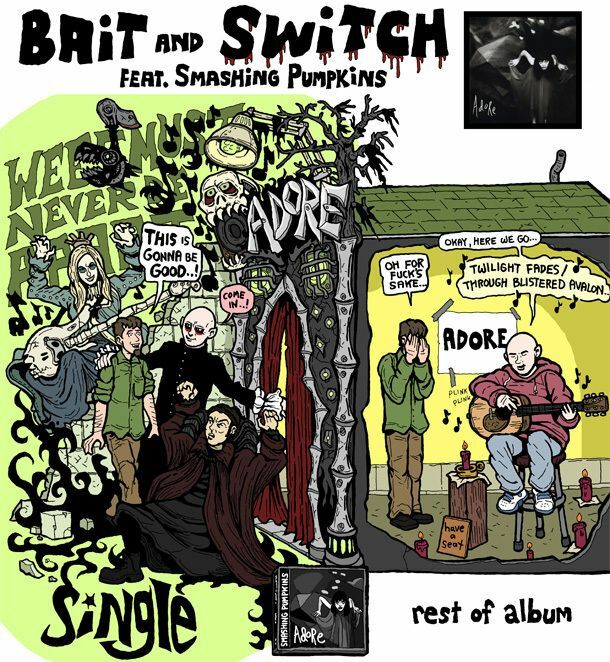 Despite buying the album, I’ve never bothered adding it to my digital library, because it only has one or two songs on it that hint at what I liked about the Smashing Pumpkins of old. A lot of fans and reviewers agree with me, with Corgan taking a potshot at fans for not even listening to the album (class act), further claiming the fans only wanted to hear the old music (probably). Anyway, the discussion had started because a couple of people were insisting the reason people didn’t like Zeitgeist was because it was too political or had political overtones. While I’m not trying to imply that no-one was turned off of Zeitgeist due to the political overtones, it is clearly a long bow to draw to suggest that it was a factor, let alone a big factor, in listeners/fans disliking the album. So why would someone make this claim? Well, simply, this is another example of people trying to justify their taste. Another guilty pleasure moment. I seem to be raising this point a lot (here on literature, here on genre vs literature, here on good vs popular, and here on guilty pleasures). It is perfectly okay for you to like what you like, there is absolutely no need to try and explain away someone else’s dislike for something you enjoy. Does it really matter if you like something everyone else hates? No. So why bother trying to put it down to political ideology or how terrorists did something…. 9/11…. Worthiness, guilty pleasures, justification: all of these things are actually stopping us from just enjoying stuff. I know I’m guilty of it, but I’m trying to get over myself. The great thing about the internet is that it is full of support groups for people who like stuff. So you don’t have to agree with everyone else on what music, books, movies, art, etc, you like. You can find your niche and create memes, gifs and video clips to bombard all your other friends with on Facebook.